ALPS is a comprehensive Arabic program designed especially for you. We form our classes around your learning goals, your schedule and your pace. The Vision of ALPS is to use the learning of Arabic as a means to bridge the linguistic and cultural divide between people, increasing understanding and cooperation between individuals and institutions in the Middle East and the World. As such, the Mission of ALPS is to teach the Arabic language (especially the Levantine dialect of Lebanon) to non Arabs, enabling them to attain a good level of conversation within one year so as to communicate effectively with native Arabic speakers. The ALPS Method, carefully developed by linguistic specialists, is designed to introduce students to Arabic culture and daily life through the study of language. 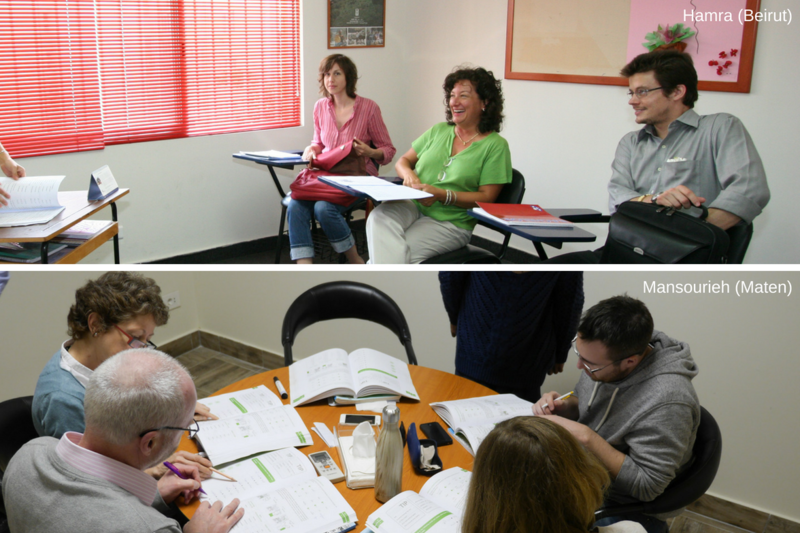 Courses are offered both in the Lebanese dialect and Modern Standard Arabic. Tutorials: This service is offered to students who choose to study at their own pace, in consultation with the ALPS administration. Skype: Language classes are also taught over Skype to students all around the world. ALPS offers twelve sessions (or terms) per year, each consisting of 4 weeks, followed by an intensive week designed for make-up sessions. ALPS’ fees are competitive and suitable for all income levels. ALPS is more interested in student learning outcomes than the income generated. ALPS has a branch in Hamra (Beirut) and a branch in Mansourieh (Maten), which also offers translation services.